Best Fire Starter Sticks: Easy As Snap, Spark, Light! Have you ever been in a situation where an alternative source of warmth was required while exploring the great outdoors? Now no cheating! And no, I was not referring to a coat or a jacket. That’s for the other breed of outdoorsmen and women. I’m talking about the real get down to it, getting a genuine fire started, to serve the purpose of keeping you warm, keeping the wild animals away and cooking your meals, starting a fire. Now, anyone who has ever attempted to get a fire started will confess honestly, that it’s no walk in the park. You can rub on twigs and sticks all you want (though this may work for some people who are stick rubbing masters), but, if you’re a beginner backpacker or even an avid outdoorsman or woman, you know what you need to be stocking up on to light those night fires. Our advice, starter sticks. But with so much variety out there in the market, just what are the best fire starter sticks? Luckily, you came to the right place. While there are too many different types of fire starter sticks in the market, you cannot just go for the first one you see. You should always go for the best, but how do you know what is good and what is not good about them? Look for the following aspects to be sure. Since you do not have any sort of control over weather, you will never be 100% sure when it will rain. So, to avoid having useless fire starters, a primary aspect you should look for is their capacity to withstand water and be as functional as ever. Another feature to look at when buying fire starter sticks is how lightweight and compact they are. You should go for the ones that occupy little space in your backpack, so you can store other important things in it like your food or any other gear. When you start a fire, you want to spend as little time as possible and spend as little energy as needed. For this reason, fire sticks that burn easily and fast should be your goal. Also, avoid buying the ones that produce annoying odors while burning; at least you want your meal to smell and taste like unidentified chemical stuff. Now that you are aware of the most important features to look for when buying fire sticks, and that you have learned the basics to actually start a fire, it is time for us to share with you what we believe are the best products on today’s market. 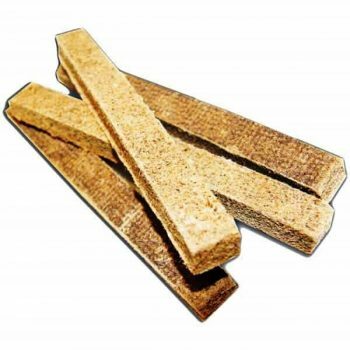 Coghlan’s Fire Sticks are a fast and easy way to start barbecues, campfires, and fireplaces. It is waterproof and it can start fires even when the wood is wet. Most customers were very pleased with the performance of this product since they compare the price with the quality of the sticks. Also, they are very durable, which means that you can buy a few packs of them and use them a couple of years later. They are no toxic, they do not expel any bad odor while burning and they are very lightweight and compact. A few customers claimed to have had a difficult time getting the sticks to light. Also, they said that the fire does not last as long as needed and that they are very small. Basically, these are recommended for skilled campers that have experience lighting fires; or to have as backups. These Camco Fire Starter Sticks are a good option for campers and backpacker when it comes to campfires and barbecues. With its non toxic content and waterproof capability, it is ideal for any camper or hiker who get exposed to the elements especially rain or water who need a way to get a flame going. Customers have commented on its lifesaving role of starting a fire quickly and easily. Also its small size makes it easy to carry and to break apart to maximize its fire starting capabilities. With 12 in each pack, you only need about half of one stick to successfully get that kindling going. However, people who have bought this product said that the sticks are so small that they are better for hookah than for barbecues or campfires. Also, they do not last too long once you have lighted them, and they expel an annoying and constant odor while burning. These Aisport Cotton Sticks are a great tool if you’re looking for an ignition swab for your outdoor and even indoor firing. Now please don’t ask us how these fire starter sticks can be flammable while also being flame resistant, that’s just mind boggling. They burn quickly and easily and leave no odor while doing it. But the fact is, these fire starter sticks do an amazing job, and that’s what’s important! If you’re thinking that these are a lot less than the others on our list don’t be deterred. These sticks can be split apart into 6 strips, then being broken by hand, can be used repeatedly a little at a time. Nevertheless, buyers have stated that the fire produced by these fire sticks does not last long, so they have to use more than one piece to accomplish a good fire. Also, they said that they do not work after being in contact with the water, and that they are not too resistant since more than once people have found a bit of the material in the case. These DollarItemDirect Fire Starter Sticks are extremely useful in times of need or in times of bad weather. They snap apart with ease and light just as quickly, producing no toxic fumes and no odor. Just add your usual pile of fire feeder and you’re good to go. Since it takes only a small piece to light your fire, these sticks will last for a while. If you’re packing light, then you’ll appreciate the compact size and almost non existent weight. And what’s even better, they come in a case of 12 so they will last you for a couple of camp fires to come. Buyers have said, however, that it is rather difficult to start a fire with these sticks since it takes too long to actually light up. Also, they say that they are pretty heavy compared to the rest of the fire sticks and that they are larger than the rest. 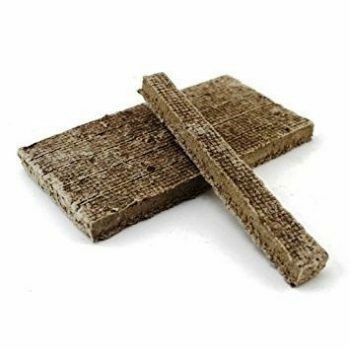 The Stansport Fire Starter Sticks are extremely useful in times of need or in times of bad weather. They snap apart with ease and light just as quickly, producing no toxic fumes and no odor. Just add your usual pile of fire feeder and you’re good to go. Since it takes only a small piece to light your fire, these sticks will last for a while. If you’re packing light, then you’ll appreciate the compact size and almost non existent weight. Facing inclement weather? 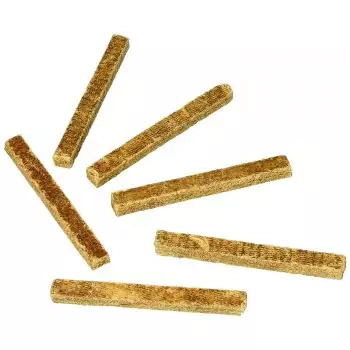 No matter, these fire starter sticks are waterproof, which means that when you want to light a fire and the rain is pouring or you’re dealing with a flood situation, these little guys will save the day. However, people have said that these sticks are way too hard, which means that it is difficult to separate one from the rest. 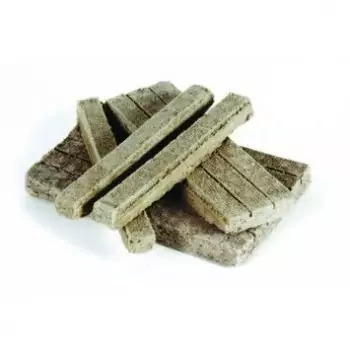 Also, buyers said that they had to use more than one stick to start a campfire because they go out quite fast, and that they are so small that it is better to use the whole square to start a fire than using only a stick. The eGear Fire Starter Sticks are another good option for campfires, barbecues and fireplaces since they are non toxic. Also they light a fire quickly with a flame or sparks, so they are easy to use and very convenient, compared to other brands. These fire starter sticks will not let you down when raining, because they are waterproof and can light a fire even if the kindling is wet. Additionally, they do not produce any bad odors, they are small and compact. Buyers have said that these sticks are too small, so it is better to use more than one to light a barbecue or a campfire. Also, they are made of a material so weak that you might find them scattered in their box if you are not careful enough. Finally, the fire produced by them does not last too long. And there you have it! 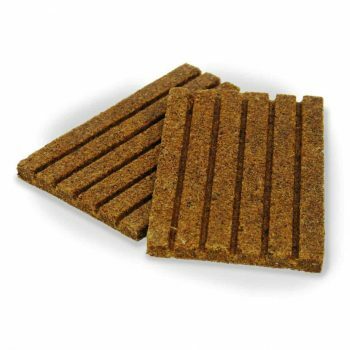 These are the best starter sticks on the market right now that you can use to give your campfire that little encouragement that it needs. Luckily for us, these fire starters are common enough that they can be bought at almost any sporting goods or outfitter store. Now, have you used any of the previously mentioned fire sticks? How would you rate their performance? Is there any other brand that you think would light a fire better? Share your thoughts on the comments!